Also, watch The Drums perform three new songs at the Paste Studio. 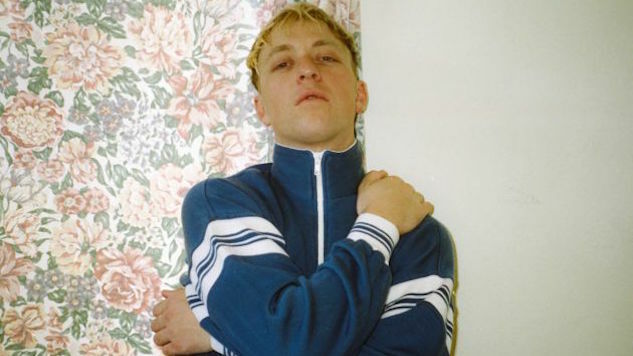 Persevering through a number of lineup changes, including the recent departure of a founding member, The Drums are back with another record to sink us into that summer rhythm. With just Jonny Pierce behind the writing and production this time around, the sound is evolving with the times, displaying a sense of awareness with the shifting musical landscape. Paste: “Blood Under My Belt” was the first taste you gave us of Abysmal Thoughts. Do you see that song as a transitional track to bridge the gap between your earlier work and your current work, or does it serve as the first etchings in a blank slate? Jonny Pierce: I think a little bit of both. Sonically there’s a lot on the album that has some remains of older songs that The Drums have released, but I think the big difference and what is new in this particular case is this newfound ability to really express my heart in a way that I haven’t been able to before. This is the first album that I’ve had to complete on my own without the presence of another band member. While it can be little bit daunting in the beginning, it was much more exciting than scary. I was able to do what I want. You don’t have to represent other people or their creative opinions. I was able to deliver music that was exactly what I wanted to do. In that sense it’s very new. Read Paste’s review of The Drums’ Abysmal Thoughts here. Paste: Writing and producing the entire record yourself could be a double-edged sword. You have total creative control, but the fate of the record rests completely in your hands. Is there a burden that comes with knowing that people will essentially be listening to and critiquing a part of who you are? Pierce: Being critiqued isn’t anything that’s new. I think you’re correct when you say there is nobody to share the burden with if it all goes wrong. If it’s a total flop and destroyed by critics, you can’t point the finger at anyone else. It’s totally up to me. All I can do is my best. I’m at this point in my life where having a buzz or having a bunch of tangible support—whether it’s sound or not—is not as meaningful to me. What’s import to me is just being who I am and representing who I am. The way I made this album was to shut out the world. Everyone’s going to have an opinion and that’s okay. It was a chance to do something really pure for myself. I don’t see the point of making art for the artist unless its something you want to make. Paste: Your music contains elements of pop but often veers from the traditional pop format into rock and psychedelia. Do you consider Abysmal Thoughts a pop record? Pierce: I’d be so happy if it was labeled a pop record. Most people label it indie. You could go on and on debating what indie means now. If you have a band like Chvrches, for some reason they fall in the indie category. They play giant shows to massive crowds. The music they play is pop. But for some reason they’re still labeled indie. I mean, I love pop music. I love Madonna. I love Michael Jackson. I love Bjork. To me, The Smiths are some of the best pop ever written. I was fortunate enough to stumble upon some of them growing up. Some are obscure and some are wildly famous. I’ve always considered myself pop though. Paste: You’ve said, “With the political chaos that is raining down, who knows when these dark feelings will subside?” That more or less summarizes all our feelings about the political climate. Is this record a coping mechanism? Pierce: I think a lot of people that I’ve talked to have this impression that the album is introspective but also has a secret political message. And it doesn’t. The album is a very “me me me” album. I was going through a divorce when I was making this. I got very deep into partying in really unhealthy ways. It was a really dark time for me, you know? It came at a time that I thought the dark, self-sabotaging ways were behind me. For the fist time in my life, I made a record that wasn’t pointing the finger outward but pointing the finger inward at myself. It was a really introspective time in my life. Paste: We have to talk about the “Blood Under My Belt” video—the colors, the props, the Moschino motorcycle suit. Obviously the visual element of The Drums is very important to you. Are there any directors or designers that inspire your visuals? Pierce: My whole life I’ve been nuts about the blue-collar life. I was a notch below blue collar. What is that, yellow collar? We had a tough time filling the cupboards. I lived next to a town where there was a flood that left behind a lot of factories. There’s something about growing up there. I found myself getting turned on by that lifestyle. I’ve always had this obsession with what I call “white-collar sports,” like golf and polo, which I’m bored by. But the idea of men wearing those kind of outfits is attractive to me. We always try to stay away from sexuality in videos and portray the more innocent side, but I decided Im just gonna go for it with the motorcycles while I still can. Basically, it boils down to a sexual fetish. Paste: The last time Paste interviewed you, it was 2010, you had just finished the Summertime! EP and you told us you wanted to write a 1950s-style girl-group record. Is this something you still want to do? Pierce: The idea still sounds really dope. I haven’t thought about it in years. At the time, I was crazy about The Shangri-Las and The Ronettes. I was just nuts about that music. I don’t listen to that stuff anymore. I usually listen to my own music when I’m making records just because I live in this little creative bubble. Now that you’re mentioning that idea, it sounds fresh and exciting. Paste: If you made that girl-group record, who would you recruit to help you achieve the ideal sound? Pierce: One of my friends Ioanna. She’s in a band called Io Echo. She’s featured on the first track on the album. I’d have the singer of this band Beverly. Her name’s Drew. I’d love to have her. Just to spice things up let’s just get Bjork in there. I’m sure she’d have some crazy ideas. There’d probably be a lot of catfights. I’d stay out of it and just watch.